Home>New Songs>Lil B Songs> Lil B The BasedGod Spits Based Bars On "Money In My Spirit"
Don't be duped, Lil B can rap. Lil B may very well have fathered a generation. There's no disputing his status as one of hip-hop's most prolific, and admittedly divisive entertainers. Many questioned his placement alongside Kendrick Lamar, Yelawolf, and CyHi The Prynce in the 2010 XXL Freshman Cypher, yet B held it down with bars to spare. Accomplished lyricist and formidable battle rapper Joe Budden once made the mistake of blaspheming the Based God, and learned a harsh lesson as a result. 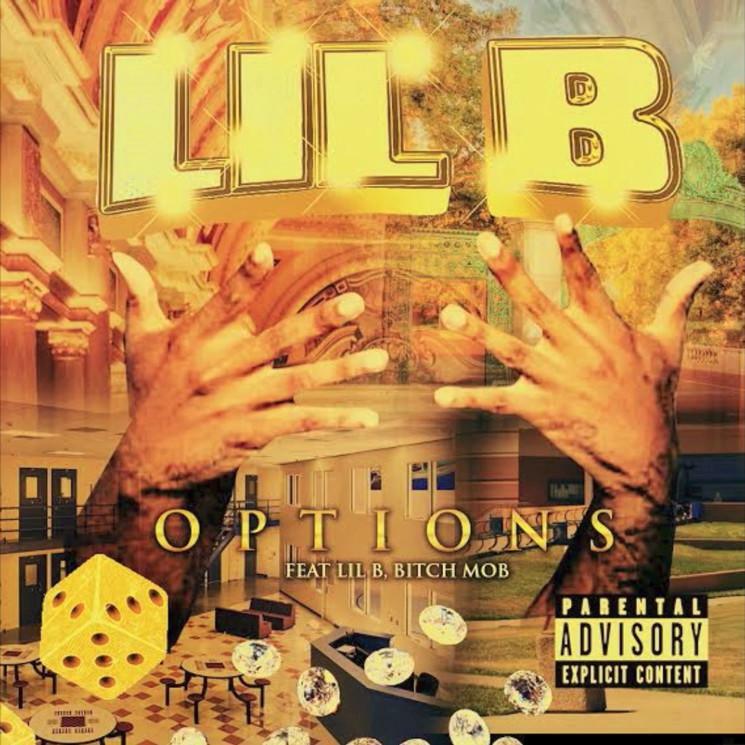 Now, on the heels of recent mixtape Platinum Flame, B has once again returned to keep the ball rolling, teasing a new mixtape called Options. As a first look, the Based God has dropped a new single from the project, "Money In My Spirit." The clip is void of any antics, and features Lil B actually going in over a atmospheric instrumental. "Staring at these suckers right up in their face," raps Lil B, "last time I got jumped I almost caught a case." Let it be know. Look out for Options, dropping soon. SONGS Lil B The BasedGod Spits Based Bars On "Money In My Spirit"